We are a small long standing garden machinery business that originally started off 40 plus years ago as a tree surgery business, yes odd I know but all will become clear soon so keep reading. After some time running a large team of tree surgeons mainly using Stihl chainsaws and equipment, and gaining quite a lot of machinery that all needed maintaining, it was decided we needed an on site mechanic to keep it all in running order. After a short period of time, other people started to ask us to maintain there Stihl equipment and the work load started to increase. From that point, we took on a Stihl Dealership and started to sell new machines. The company grew from this branching into Garden machinery and picking up a Honda dealership. We no longer have a tree surgery company although the name lives on in a few people who used to work with us and they come highly recommended. We have continued to grow over the years and at the time of writing this in 2017 now have a full tree surgery equipment shop selling everything from ropes and harnesses to Karabiners and Silky saws. 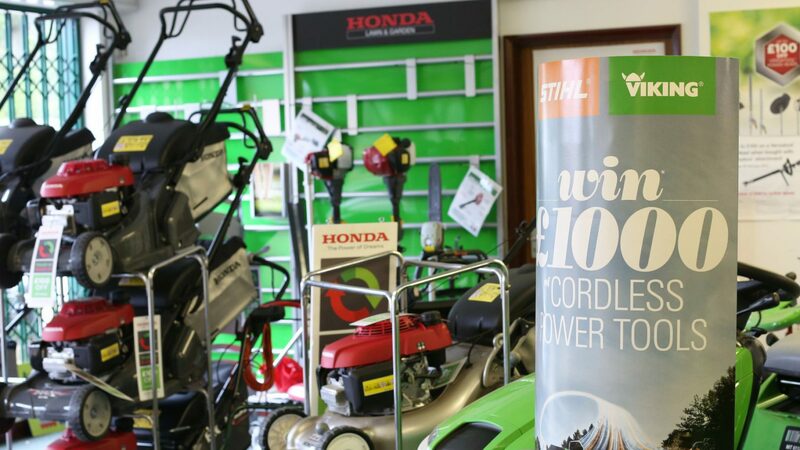 Stihl & Honda are still our main dealerships but we also sell Echo machines as well as a wide range of hand tools so next time your passing why not drop in and say hello.